With its clean, minimalist and professional-looking design, WP-Clear (version 2.0 ) is one of Solostream's most popular themes. Multiple page layouts and a built-in control panel make it flexible and easy to use. 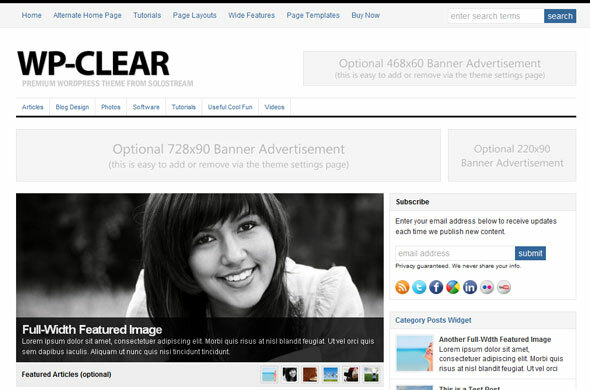 WP-Clear can be used as a blog, an online magazine or a business website.